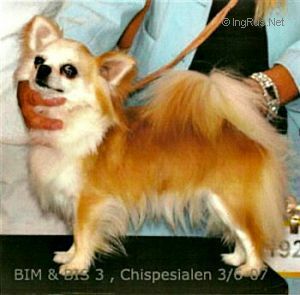 MISTY MEADOW'S DORIS SPEED - World Pedigree DataBase Chihuahua, Chihuahua Pedigree DataBase. Titles: Multi Ch. INT & FIN & N & PL & HRCH, World Winner 2006, Polish Winner 2006, European Winner 2007 Copenhagen Winner 2007, Number 2 Longcoated 2007 in Norway!